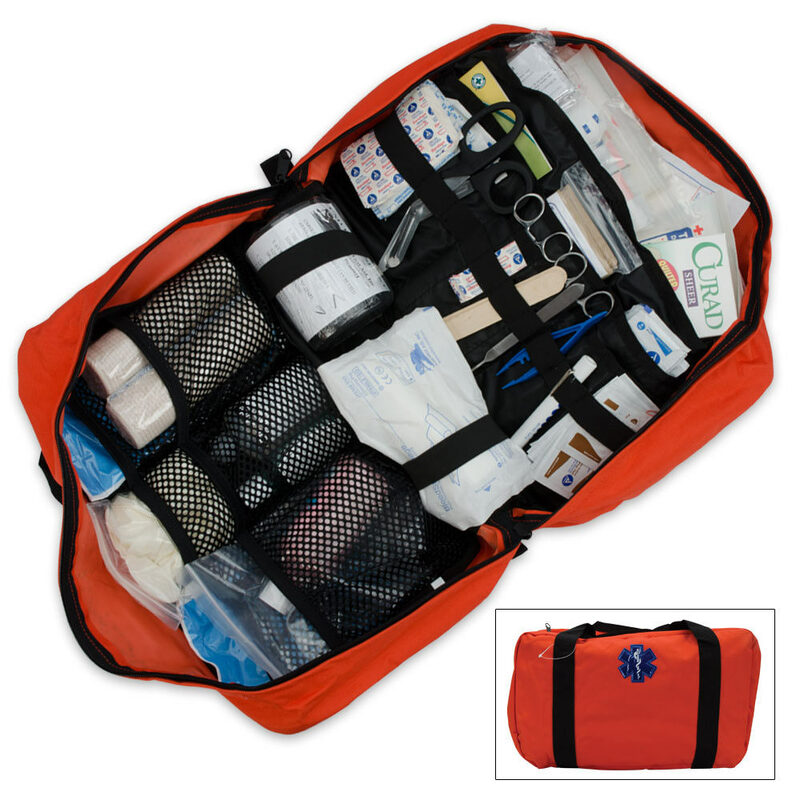 This master field and camping first aid kit has a great assortment of supplies and is excellent for use by large groups, as well as to have in your home, office, or automobile. The orange bag folds out completely and offers a variety of pockets with a clear view of the contents inside. It also features two comfortable carrying handles. Kit measurements: 16 in. x 10 in. x 6 in. 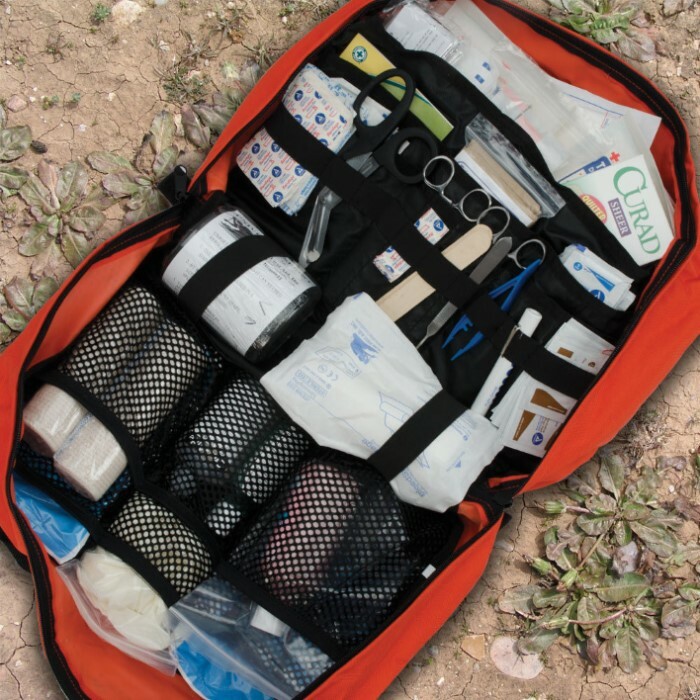 this makes a great starter first aid kit. You can add some things but not enough to make this bag even better. D rings and a shoulder strap would make it a lot easier to transport but for the price I can deal with no strap. Very complete, but with room to add more items. My only suggestion would be to add a couple of D rings, so a shoulder strap could be added. I'm very satisfied with this product, as it will be part of my disaster kit.